Vision: The Gospel of the Kingdom Advancing throughout the World. We want the gospel to spread throughout the world, the Church to grow, Satan's kingdom to be destroyed, and Christ's reign to be extended to the ends of the earth. Mission: Making Disciples among all Nations. We are called to be obedient to the Great Commission by teaching people to follow Jesus as Lord and Savior, to be baptized, and to obey all that Jesus commands. RUF is the official campus ministry of the Presbyterian Church in America. More than just a ministry on the university campus, RUF seeks to be a ministry for the university. We strive to serve in this unique stage of a student’s life in the world they live in, exploring together how the Lordship of Christ informs every area of life. TTF is a network of Christians in and around the Marine Corps. We are a biblically based non-denominational ministry. Believing that church oversight is crucial, we are an integrated auxiliary ministry of Crossroads PCA of Woodbridge, VA, which provides financial accountability and oversight. Mission: To build and maintain relationships that support and encourage followers of Jesus Christ in and around the Marine Corps to seek and glorify God in all aspects of their lives and in the furtherance of His kingdom. Onslow Pregnancy Resource Center is a Christ-centered ministry offering life-affirming alternatives to abortion by supporting women facing the challenges of an unplanned pregnancy, promoting sexual integrity, and offering post-abortion support. Vision: Onslow Pregnancy Resource Center envisions a community where the sanctity and dignity of human life are respected, children are nurtured in strong families, and sexual integrity is valued. Jonathan and Beka Hastings serve the Lord in Atlanta, GA, proclaiming the Good News of Christ to the refugees living in Clarkston, GA. Working with MTW, they have opened a fund for mercy ministries and evangelistic materials. Additionally, as their team has been expanding, they are also planning on opening a new Ministry Center separate from their current Learning Center. Their work is intentionally focused on the large number of Muslim political refugees that have been sent to Atlanta - one of a few refugee cities in the United States - due to their past experience as missionaries in the Middle East. The Luthers arrived in Greece January 2012 in direct partnership with Panagoitis Kantartzis, pastor of the First Greek Evangelical Church and visionary for the church plant movement in Athens. 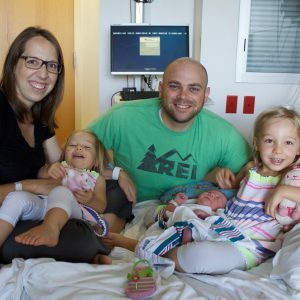 Phillip and Kay serve in the first church plant, which began with a small core of people from the mother church who started meeting for worship in the southern, affluent suburbs of Glyfada in the Fall of 2010. There are now two other church plants meeting for worship services, one in Exarchia and the other in Agia Paraskevi. Two Bible studies and various community outreaches are laying the foundation for a fourth church in Kypseli, the most densely populated area of Europe with at least 17 nationalities. 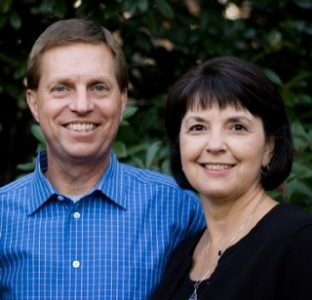 Phillip and George Tolias (pastor of the growing church in Glyfada) are committed to strong biblical teaching and developing outreaches to bring the truth of the gospel. Matt and Sarah were high school sweethearts and married in 1995. After completing undergraduate degrees at Columbia International University, they served for two years in Botswana, where Matt worked as a mission pilot. As they met believers throughout southern Africa, God impressed upon the Haynes the need for training and discipleship in the African church. 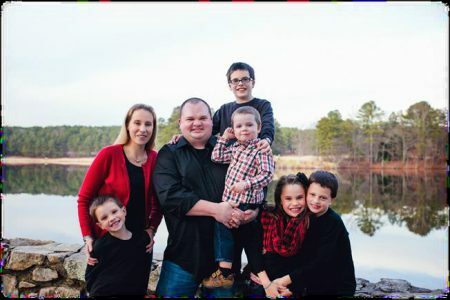 After returning to the U.S., Matt worked in the airline industry and ministered as an elder in the local church for six years. Sarah served the church using her gifts in administration and teaching. It was through their work in the local church that God once again led them to pursue vocational ministry. Covenant Theological Seminary was their next step in preparation, and Matt graduated with an M.Div. in 2010. Matt teaches at the Bible Institute of South Africa in Cape Town and in the surrounding townships. Sarah is active in discipleship and hospitality. Their goal is to work alongside national Christian leaders to help meet the great need for well-trained leadership in the African church. Tom Hart is the RUF Campus Minister at East Carolina University. Tom was born and raised in Albany, Georgia. 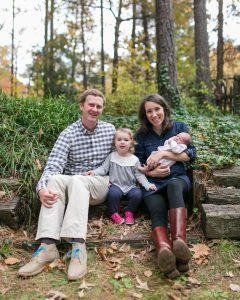 While studying at the University of Georgia, he got involved with RUF, where he encountered Jesus for the first time. He also met his wife, Chané, in history class! Chané is originally from South Africa but grew up in Greenville, South Carolina. After college, Tom served as an RUF intern at Auburn University from 2008 to 2011, where he developed a deep love for college ministry. 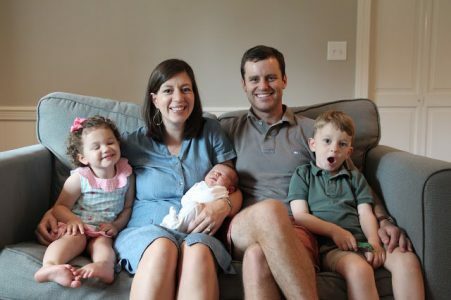 Having spent three years in the Midwest while Tom earned a Master’s of Divinity from Covenant Theological Seminary, the Harts were thrilled to move back to the South, where boiled peanuts and sweet tea are easier to come by. Tom and Chané spend most of their free time thoroughly enjoying their three children, Simon (born in 2012), Ragan (born in 2014), and Bauer (born in 2016). Crawford Stevener is a native Texan who went to Vanderbilt University in Nashville, TN, where he met his wonderful wife Rachel. Upon graduation, they were married and moved to Dallas, where Crawford worked as an analyst for a consulting firm in the banking industry. 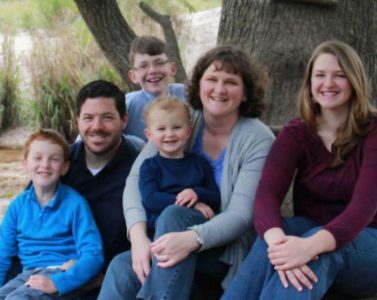 In 2010, Crawford and Rachel moved to Charlotte, NC, where they attended Reformed Theological Seminary. Crawford received his Masters of Divinity and Rachel her Masters of Arts in Theological Studies. 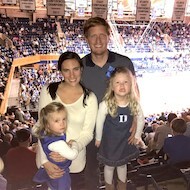 In 2013, Crawford became the RUF Campus Minister at Duke University, and the family re-located to Durham, NC. They have two adorable little girls - Ruthie and Lottie. Pretty much everyone in the Stevener family loves people, food, good conversations, and silliness. Simon Stokes is a graduate of Covenant Theological Seminary, where he received two Master’s degrees: one for divinity and the other for counseling. Originally, he hails from Dothan, Alabama and graduated in 2006 from Emory University, where he pursued a degree in International Studies. After college, Simon worked as an RUF intern at Auburn University. It was here that he developed a heart for college students, as well as deciding to enter vocational ministry. 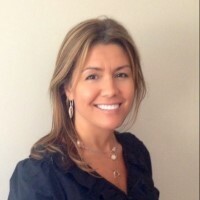 Simon is married to Katie, who grew up in Memphis, Tennessee and received a degree in graphic design from Auburn University in 2008. Whether it be movies, TV, or books, Simon loves stories in any genre. He also enjoys playing sports and board games. Sometimes he wins. Both he and Katie are hoping that North Carolina will make them “outdoorsy”. They have two children, Emory and Caroline. Jay is a North Carolina native. He grew up in the eastern part of the state and went to college at Gardner-Webb University in the foothills. He met his wife while working at a summer camp, and they were married in 2006. Jay and Bet moved to Charlotte, NC, where he studied at Reformed Theological Seminary and interned at Uptown Church. 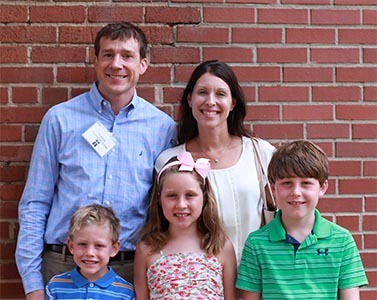 After finishing seminary in 2010, Jay and Bet moved to Raleigh to help plant Midtown Community Church. After 5 wonderful years in Raleigh, Jay, Bet and their girls have moved to Wilmington to start up RUF at UNCW. He can't wait to meet you! Jay enjoys coffee, modern architecture, cooking, flip flops and wearing t-shirts whenever possible. Jay and Bet have three little girls (Laine, Remy and Breck) and a puppy named Lucy. Chuck and Lauren work with RUF at North Carolina State and Meredith College. Their ministry’s main focus is seeking to reach college students for Christ and equipping students to serve in the body of Christ -- both on and off the campus -- for a lifetime. They attend Christ The King PCA in Raleigh, NC. Jeremiah and Leslee met and started dating in high school, before Jeremiah enlisted in the Marine Corps, and later married in 1996. After serving 4 years in the infantry, Jeremiah desired to transition to full-time missions work; however, they sensed God leading them to continue serving in the Marine Corps. After 8.5 years as an enlisted Marine, Jeremiah was commissioned as an officer. Now after 23 years of military service, God is granting Jeremiah the desires of his heart by leading him (and his family) to serve as a Network Missionary with TTF. In God’s sovereignty, the last 23 years of enlisted and officer experience within the infantry, aviation, administration, and special operations communities have been used as training and preparation for the Davis family to minister to Marines, Sailors, and their families at Camp Johnson (Administration), Camp Geiger (Infantry), New River Air Station (Aviation), and Stone Bay (MARSOC), in a full-time ministry occupation. 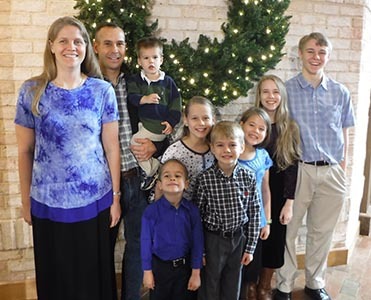 Their home-based ministry will focus on evangelism, discipleship, and helping military families thrive (marriage, parenting, parent-child and sibling relationships). Onslow Pregnancy Resource Center is a place of compassion, information, and support for anyone facing an unplanned pregnancy. Whether a teen needs encouragement to make positive choices, or a woman is dealing with her life situation as a result of a crisis pregnancy, or has grief from a past abortion, this is a place of hope and healing. We are a Christ-centered ministry, and a safe place to work through pregnancy-related issues. Our goal is to reach women in crisis with hope and truth and help them develop healthy relationships, by promoting good physical and emotional choices. God is enabling us to do so, as He brings women and men in crisis right to our doorstep.